IMAX and Warner Bros. Home Entertainment today announced a new virtual reality co-financing and production agreement to develop and release three premium, interactive VR experiences based on some of Warner Bros. Pictures’ highly-anticipated upcoming blockbuster films, including Justice League, Aquaman and a third experience that has yet to be announced. 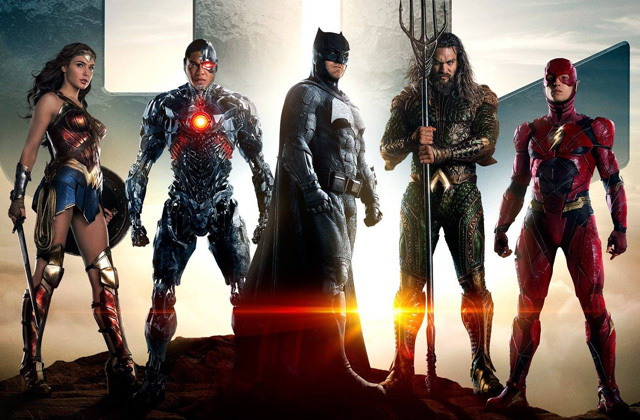 The companies plan to launch one experience each year – beginning with Justice League VR in late 2017 – with all to receive an exclusive window in IMAX VR centres before being made available to other VR platforms, including in-home and mobile offerings. IMAX launched its flagship pilot IMAX VR Centre in Los Angeles in January, which is off to a strong start, and is set to open at least five additional centres in New York City, California, the UK and Shanghai in the coming few months. IMAX plans to use these pilot locations to test several factors including the overall customer experience, pricing models and the types of content featured. If successful, the intent is to roll out the concept globally to select multiplexes as well as commercial locations such as shopping centers and tourist destinations. The IMAX VR Fund, which was announced at the end of 2016, brings together leaders from the media, entertainment and technology sectors to aid in the creation of high quality VR content that can be leveraged across the burgeoning VR industry. The Fund will help finance the creation of roughly 25 interactive VR content experiences over the next three years – targeting premium, event-style productions with its Hollywood studio and filmmaker partners that complement IMAX’s film slate, as well as gaming publishers and other leading content developers. Investors include IMAX, IMAX China, Acer, Creative Artists Agency (CAA), China Media Capital, The Raine Group, Studio City and WPP. IMAX VR is a mind-shattering VR experience in a location-based, state-of-the-art Experience Centre. The IMAX VR Experience features a unique combination of premium technology and world-class content that lets users see, feel, move and play in new worlds in a powerfully immersive and realistic way, much like IMAX theatres offer moviegoers a differentiated and best-in-class film experience. With groundbreaking VR headset technology, 360-degree sound and sophisticated room tracking, players will be instantly transported into new virtual worlds that are more realistic than anything imaginable. The centres, which will be located in multiplexes, malls and other commercial and standalone destinations, employ a new modular design – proprietary to IMAX – that consists of several “pods” to allow multiple players to enjoy interactive, exciting, moveable VR experiences. The pods, which are designed to optimize user mobility and interaction in virtual environments, can be adapted for specific content experiences – whether single- or multi-player.